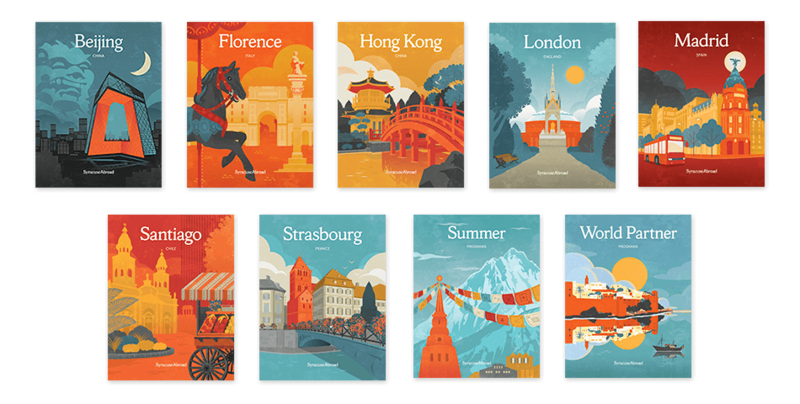 The country viewbooks are the heart of the package, which included 18 print publications produced over seven months. 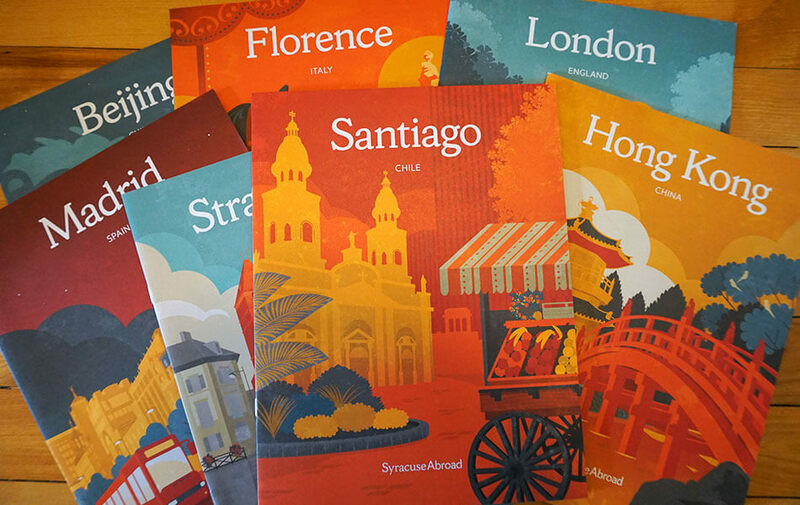 Details from the cover illustrations are sprinkled throughout the interior pages of the viewbooks and brochures. The design uses only the university’s official typeface, Sherman. Sherman Serif looks especially great at 120 point on the inside front cover! We partnered with Central New York illustrator Paul Cammilleri for the cover art. Laptop decals, posters, a t-shirt, and several brochures round out the package. 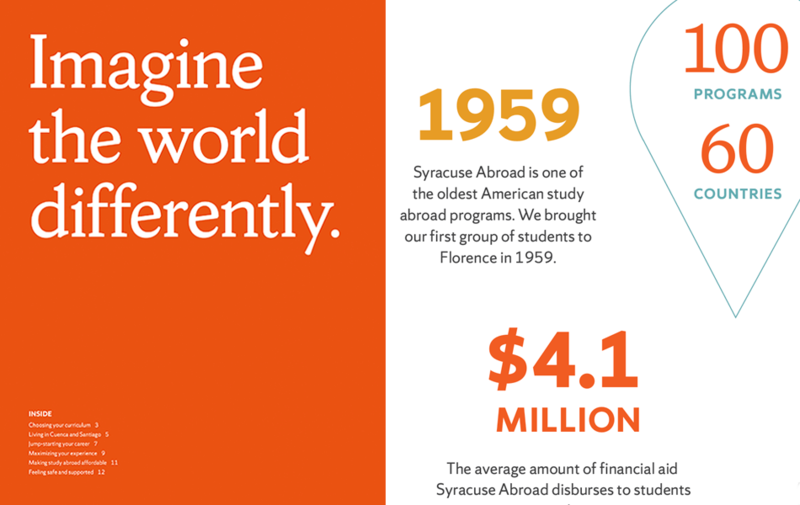 Syracuse Abroad, the study abroad division of Syracuse University, needed to update its recruitment collateral. The goals: to introduce a new name, to refocus their message to reflect the university’s rebrand, and to continue to stand out from the sea of travel photography-focused materials of their competition. The rebrand’s tone words of impressive, confident, motivated, approachable, and socially aware guided all aspects of the design process.